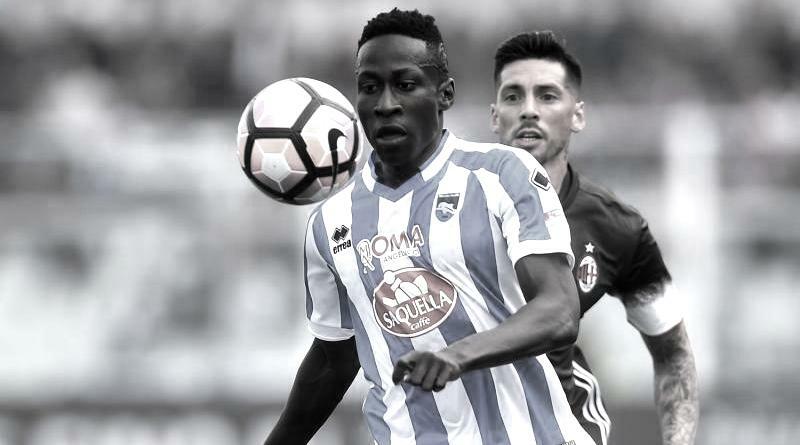 Pescara midfielder Mamadou Coulibaly has emerged as a surprise target for Juventus ahead of the summer transfer window. According to the football transfer rumours in Italian Media, Juventus are eyeing move for Pescara midfielder Mamadou Coulibaly. Mamadou Coulibaly has joined Pescara on a free transfer in March 2017. The 18 year-old has a valid contract with Pescara until June 2019. Since his arrival, Mamadou Coulibaly has scored one goal in five games for Pescara in all competitions this season. The 18-year-old is considered to be one of the best young midfielders in Senegal. The Senegal international is a player who has impressed many European Clubs in the last month. According to the football rumours in Italian Media, Juventus manager Massimiliano Allegri would prefer to sign Mamadou Coulibaly and leave him on loan to Pescara to continue his development. .
Euro Football Rumours understood that Juventus are already in talks with Pescara to try to bring the Senegal international to Turin.